This week I visited the Wildlife Photographer of the Year exhibition at The Natural History Museum in London. I was very impressed with the images at this exhibition, however there were a few photos that particularly stood out to me. While the majority of the exhibition focused on appreciating nature, there was a small section that instead depicted the problems faced by nature, due to the actions of humans. The Wildlife Photojournalist of the Year Special Award was given to Brent Stirton for a particularly memorable series of images focusing on canned hunting in South Africa. This showed the different sides of canned hunting, and revealed a shocking image of a recently hunted lion being washed so that the hunter can keep their ‘trophy’. It seemed incomprehensible that the reason for the suffering exposed in this image is purely for human enjoyment. Canned hunting is a huge issue today which seems to be getting worse, as an increasing number of lions are being bred purely so they can then be shot by a paying human being in a closed off area. 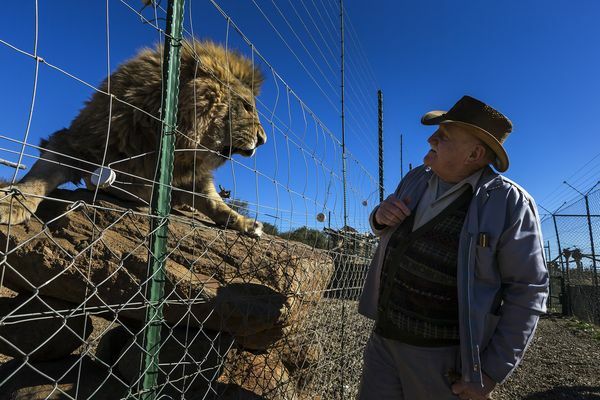 This seems to be an addiction to the list of dangers faced by lions today, and with their population steadily decreasing, canned hunting seems to be nothing short of a complete lack of respect for animals and nature. Sea of Death by Paul Hilton was also a stand out image for me, showing a large number of freshly-retrieved shark fins drying on a beach. This title is very appropriate, as the image gives an overbearing air of death, where the sea is normally a symbol of life. Dishes such as shark fin soup are becoming increasing popular, and I was shocked with the statistic that 100 million sharks are killed every year for this completely unnecessary practice. With lions the predators of land, sharks are the predators of the sea, and these two images show how as humans are advancing, we are simply using and destroying even the most powerful of nature as we see fit. These photographs seemed to overshadow everything else, all was brilliant photography, but these select images represent how modern photography is being used to tackle world issues. Although humans are creating these issues, we are also the ones to stop it. The winning image for the Adult Wildlife Photographer of the Year Award was entitled The Last Great Picture by Michael ‘Nick’ Nicholas. 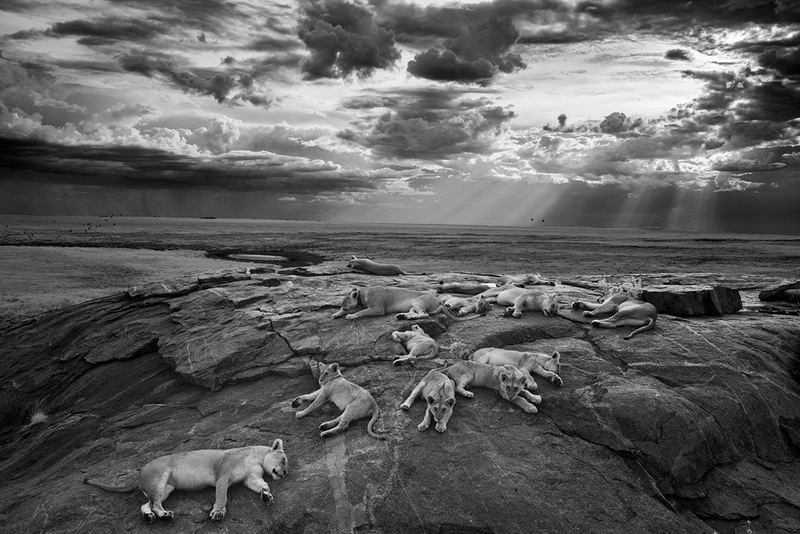 I thought this black and white photograph of a group of lions was outstanding and well worthy of the title.